I also read two things this morning that made me think of you. First up, this article on five new mystery novels coming out this month. Secondly, this story on the Today show this morning about making mittens for Koalas in Australia. 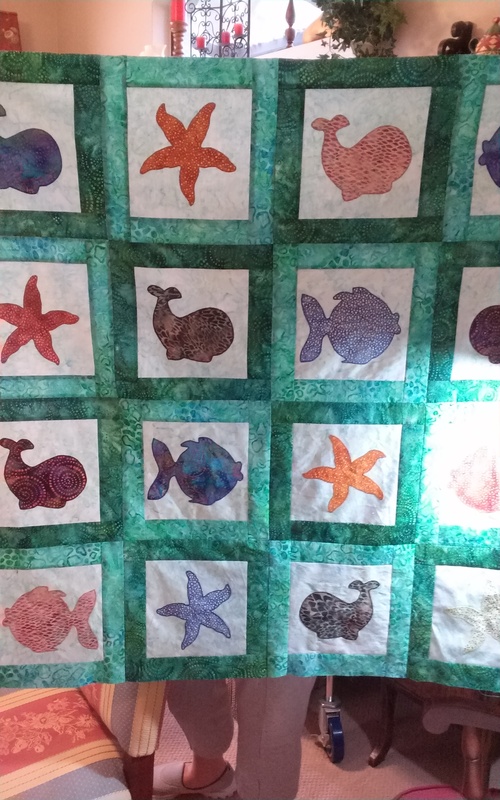 Would be a fun project for your sewing group! There is a pattern on this site. I hope you put some pictures of Christmas week on our blog. If you don’t I’ll have to resort to posting some of mine. I don’t have the practice you have of taking pictures of Julian…man in constant motion! Today I finally returned to Sewing at Judy’s. 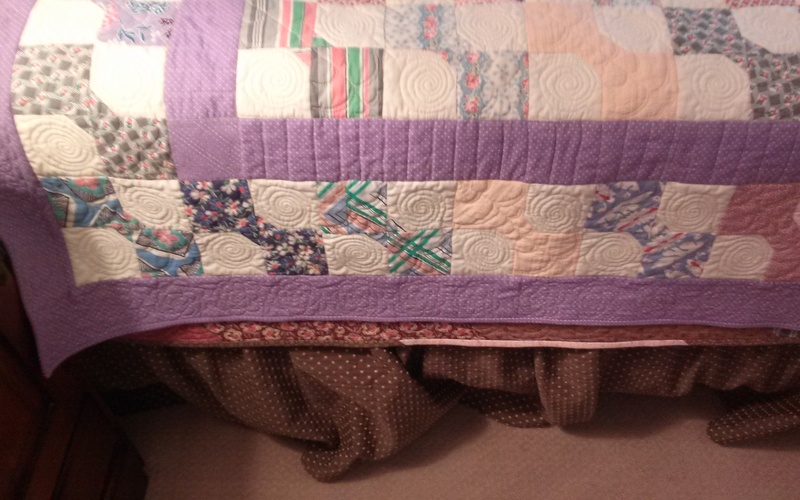 Cindy is working on a baby quilt for her third grandchild. 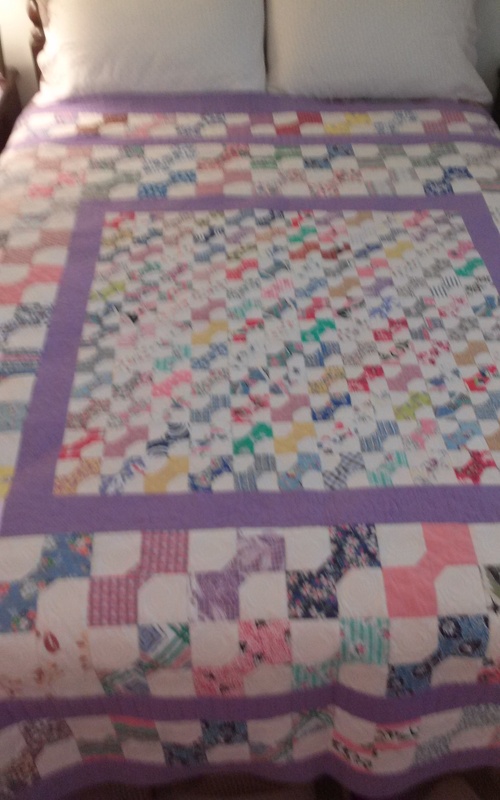 Pat made this adorable bow tie quilt using fabric from her grandmother. What a wonderful remembrance. I haven’t posted any flowers lately. 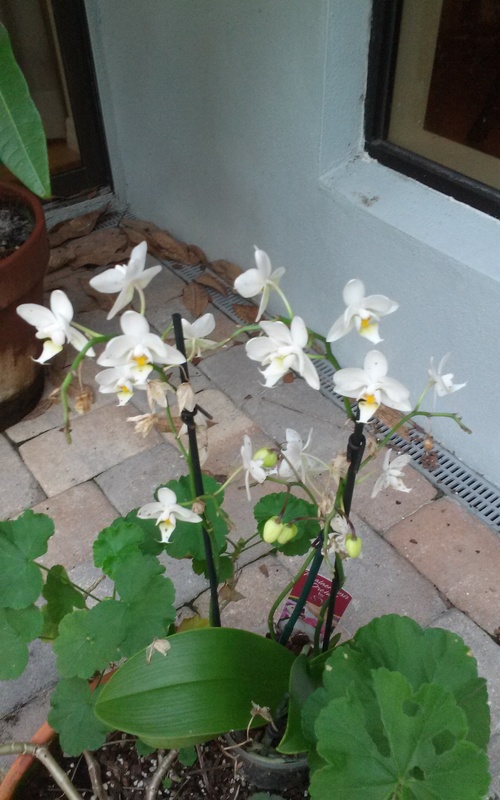 Since you like white orchids I thought you would appreciate these. We all enjoy our animals, sometimes the senior ones changes in behavior just crack me up. 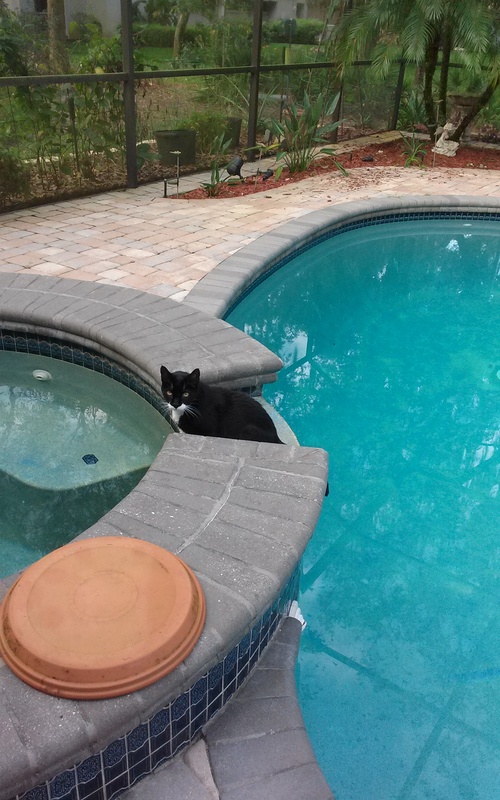 Sylvester, Judy’s is working up his courage to learn to swim at 16 years old. I guess we are all in for a cold spell…bundle up.